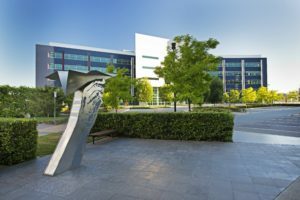 Brindabella Business Park is a first-class, professional precinct, adjacent to Canberra’s new Airport Terminal. The Park is unique in its development; with the same core team of architects, engineers, builders, landscapers and interior designers having worked on each successive building project resulting in consistency and continuity throughout the precinct. 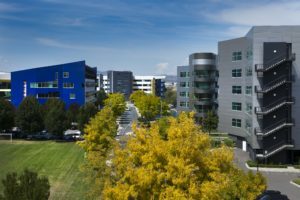 Considered to be one of Australia’s most environmentally sustainable business centres, Brindabella Business Park is made up of 18 world-class commercial buildings designed with the highest level of amenity, culture and sustainable design. The aim was to create a sense of community and achieve that all important balance between work, health and lifestyle – we’ve achieved this and more. 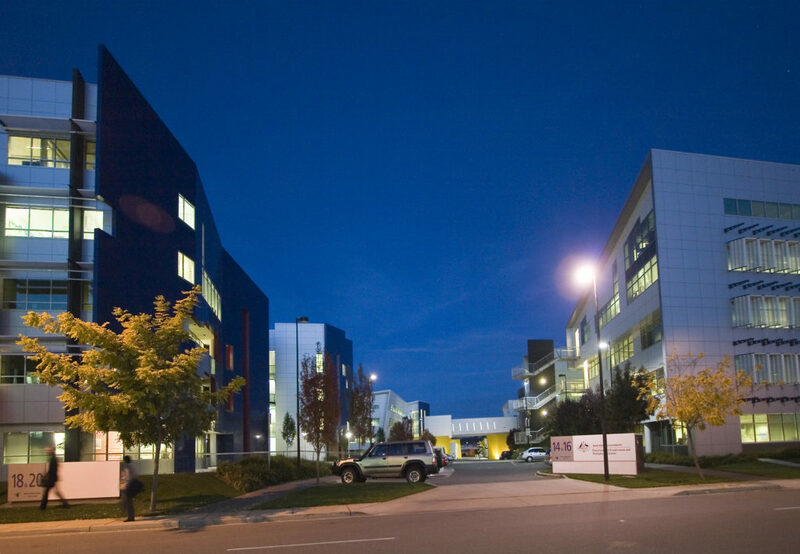 Brindabella Business Park is now home to approximately 7,000 workers and 46 businesses, all residing in 19 A-grade commercial buildings totalling 100,000m² NLA. With a further 45,000m² either under construction or in the planning. For more information visit the Brindabella Business Park website. 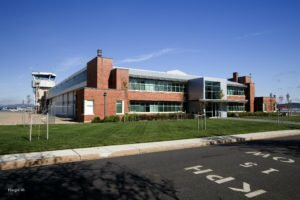 Fairbairn is an innovative commercial precinct home to some of Canberra’s most significant private and government organisations including a current RAAF base. Fairbairn provides its tenants with a wide range of services and facilities including ample car parking, public transport, cafes, a functions centre plus many sport and recreation facilities including an 18 hole golf course, basketball court, volleyball court, tennis courts, BBQ facilities and ample space for a lunch time walk or jog. For more information visit the Fairbairn website. Majura Park is located in the north-west sector of the Airport and is a mixed use commercial and retail precinct under development at Canberra Airport. We recognise the importance of sustainable developments and that’s why Majura Park houses one of Australia’s largest tri-generation plants and integrates the most advanced water saving technologies. This nationally award winning development is the epitome of green built buildings. Set in a campus style environment, each building is defined with a prominent entry, magnificent five storey glass tower are completed with highly articulated sunshades creating a checker like affect. Similar to the airport’s other precincts, Majura Park also has a variety of facilities and services to help make it a smart place to do business. These include childcare facilities, cafes, an abundance of parking, swimming pool and gymnasium, sports and recreational facilities, retail, public transport and conference and meeting facilities. It is also home to Majura Park Shopping Centre with over 30 speciality stores. To find out more visit the Majura Park website.